We all know that blood contains platelets that assist in clotting and healing wounds. However, many don’t know that blood also contains fundamental growth factors that are designed to restore and heal a plethora of ailments. Platelet Rich Plasma (PRP) harnesses these regenerative growth factors by activating them to promote natural healing. This enhancement is done through stimulating the underlying tissue to speed up tissue and collagen production to create smoother/plumper skin and fuller hair. What areas can PRP treat? Smoothing and plumping along the forehead, cheeks and eyes. Minimizing smile lines around the nasal folds. Tightening and lifting along the neck/jawline and décolleté. Rejuvenating appearance of hands by minimizing age spots and tightening skin. Results may vary with each individual, though typically you may see noticeable improvements in skin tone and texture within 3 weeks of treatment. Improvements may continue for several months after post-treatment. 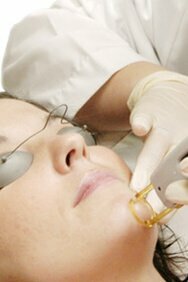 Combining PRP with other treatments (fillers, cosmetic laser treatments, etc.) may prolong results. Hair growth is a popular treatment choice for PRP. PRP stimulates hair follicles to produce a healthy environment to strengthen and thicken current hair follicles, produce new thicker hair follicles and speeds up the growth of hair transplants. Post-treatment, you may return to normal activity immediately; though the scalp may need protection from sun exposure and excessive irritation. Please note, not everyone is an ideal candidate. Patients with an active infection related to the scalp area, history of a viral infection (shingles, blood-clotting disorder), on blood-thinning medications (aspiring, immunosuppressive drugs) would not be ideal candidates. As well, if the hair follicles are completely lost, this procedure is less likely to assist in producing viable results. PRP is an autologous (derived from your own body) composed of Platelet Rich Plasma (PRP). Harvest®’s mechanism of action involves injecting the face in order to stimulate an increase of collagen and cell production. Collagen production decreases as we age, causing the skin to lose vascularity, tightness and elasticity (recoil). PRP provides the solution to this by containing many growth factors that stimulate new collagen formation. These growth factors can also be used to restore the hair follicles on the scalp. What is the difference between Harvest® and other PRP technologies? Harvest® typically has twice as much PRP as 12 other PRP technologies on the market, thus twice as much or more of the essential growth factors for stimulating collagen growth. Harvest double spin methods produce significantly higher quality PRP with higher concentrations of growth factors and platelets than other methods. PRP produced using the Harvest® SmartPrep® Multicellular Processing System delivers the highest concentration and yield of platelets when compared to a multitude of other systems, as shown here. How will I look post-treatment? Post-treatment injection sites will have some redness and swelling. Some patients will have some bruising that can remain up to a week. PRP works by enhancing and strengthening your pre-existing hair follicles. One reason that hair may thin is caused by low hair density around hair follicles. On average, two or three strands of hair grow from a single follicle. Individuals with thin hair, usually have one strand of hair around the follicles. The procedure may increase the number of hair strands per each follicle, enhancing hair density. Phase I involves blood extraction from the patient; this blood is spun in a centrifuge to separate the blood’s components. Platelets are obtained and may multiply; this multiplication process generates growth factors, which may ultimately be served as stimuli for the scalp’s cells. Phase 2 involves platelet/growth factors are provided to the scalp. This process promotes healing of punctures as well as new hair growth. Different vitamins, minerals, and hyaluronic acid may be provided after PRP treatment. Who isn’t an ideal candidate for PRP treatment? I will give them full marks. I had lost all hopes and started feeling rejected. My sister brought me to this clinic for a consultation on their PRP for hair loss. I was skeptical at first but they answered all my questions and encouraged me to do my own research, which I appreciate. The prices are very fair here and I am grateful for the compassion. They took into their hands what was a hopeless situation for me and turned that in to the most pleasurable experience. They showed lot of concern towards my situation. I am in love with my results so far. There is no limit to my happiness, I would highly recommend this clinic to anyone who is suffering from hair loss. I have been going to this clinic for almost a year now, after my co-worker suggested it! I have been doing their PRP for hair loss, as well as laser hair removal. I recently started using their skin care as well. I have seen a HUGE improvement with my skin, and always look forward to seeing the staff when i come to the clinic. Would totally recommend, especially if you appreciate brand new technology and a super knowledgeable doctor and staff. Cant say enough about the PRP therapy and this clinic! They are the real deal providing all you Platelet rich plasma needs in one location for rejuvenation and healing. I performed 3 treatments back in August and have got wonderful results. I had thinning hair in the crown, front, and temples after 2-3 months my hair thickend up significantly so much so that almost my entire hair did not show scalp. Before the treatment the scalp showed a lot due to my thinning hair. I know it was the prp that helped me and I tried many many treatments and this was by far the best one and the only treatment that worked for me. 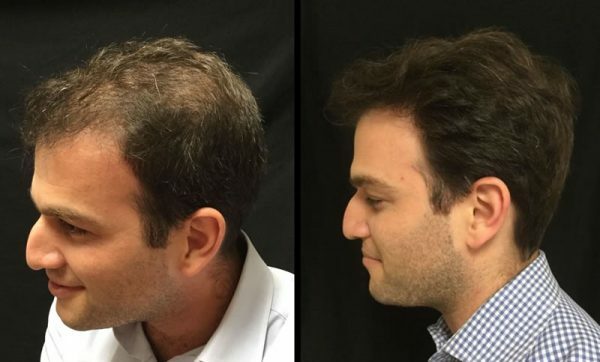 It has been about 8 months and my hair is still thick and still not thinning yet but I will do another 3 sessions soon for sure to maintain these results and prevent thinning to restart again. I’m happy with the results I will surely do 3 treatments of prp every year from now on to maintain the results I have now that I’m very happy with. This treatment is amazing. Also the service at this clinic is great I’m a happy customer and extremely happy with the results.